When Volkswagen engineers designed your vehicle, they had special tires in mind. Working with tire manufacturers, they created the optimal tires for your specific Volkswagen model. Volkswagen tires were designed to maintain the performance you deserve. 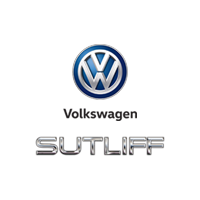 Come see us at Sutliff Volkswagen, and our certified technicians will install your Volkswagen approved tires today. Safety, quality, value, and performance. That’s the Volkswagen way. Use our online tire store to search for recommended tires chosen specifically with your car in mind. If you drive a Volkswagen vehicle, simply enter the year, model, and trim of your car for a list of available tires at our dealership tire store in Harrisburg, PA. Driving something else? Not to worry. Simply enter your tire size which is in your car’s owner manual or can be found on your current tires.